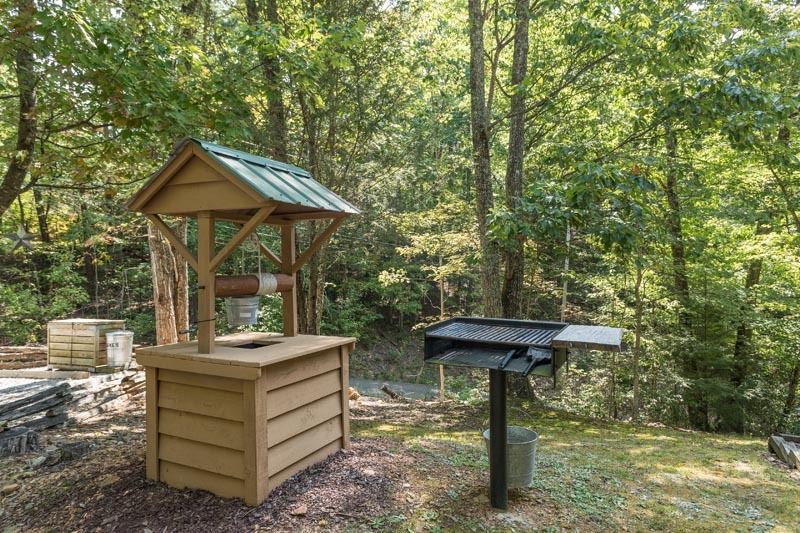 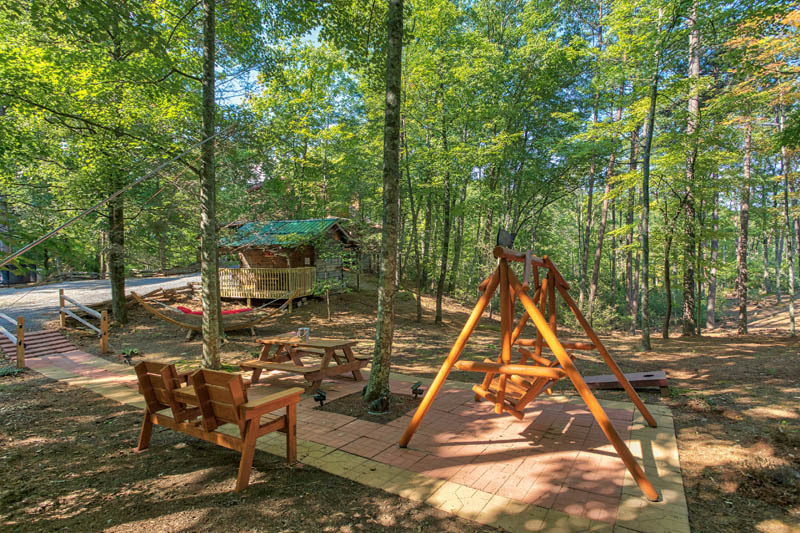 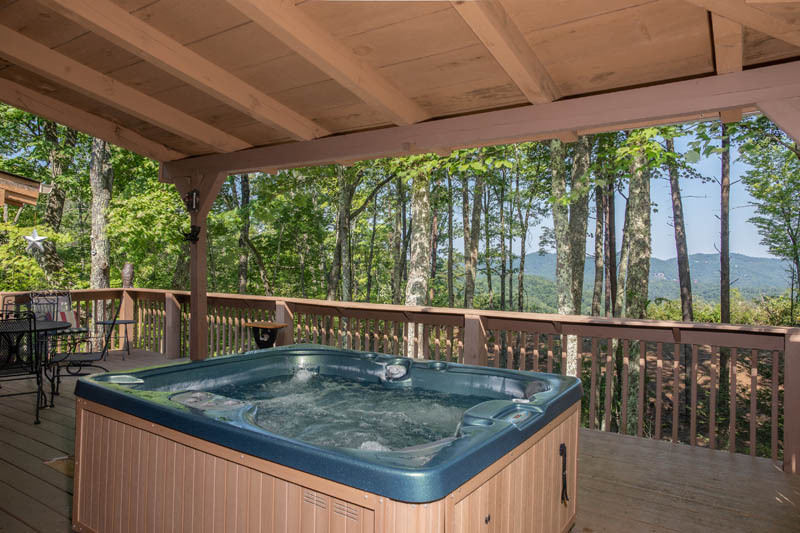 The best place to begin your Smoky Mountain adventure is right here at BEARFOOT ADVENTURE! 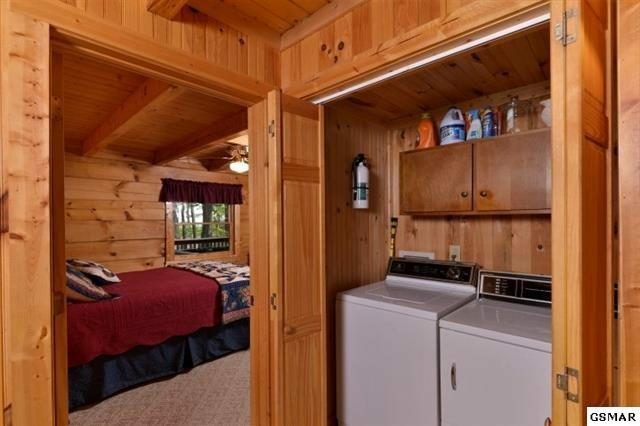 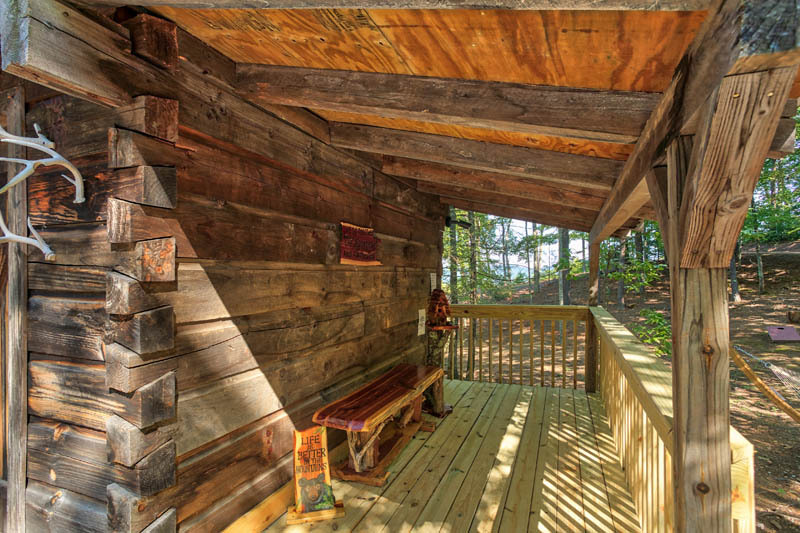 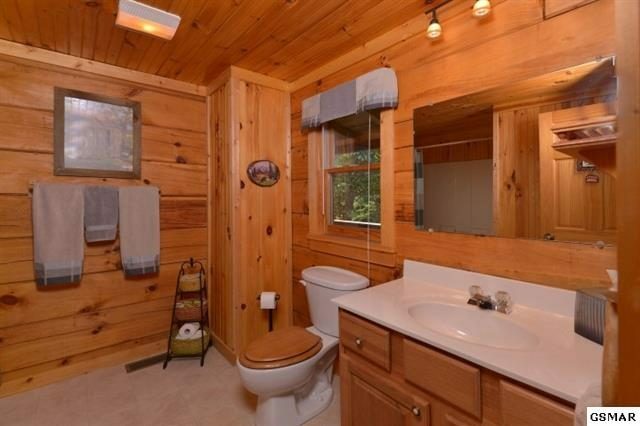 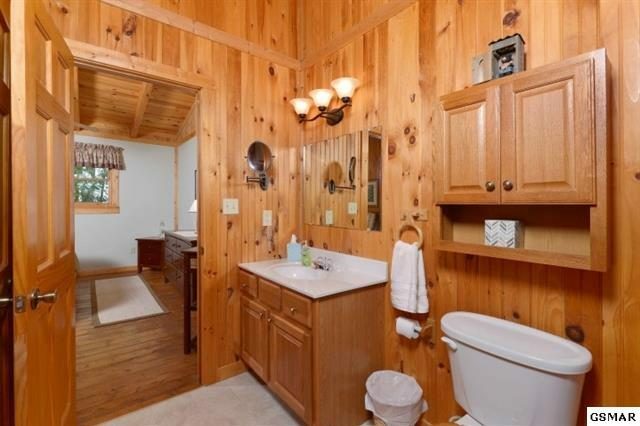 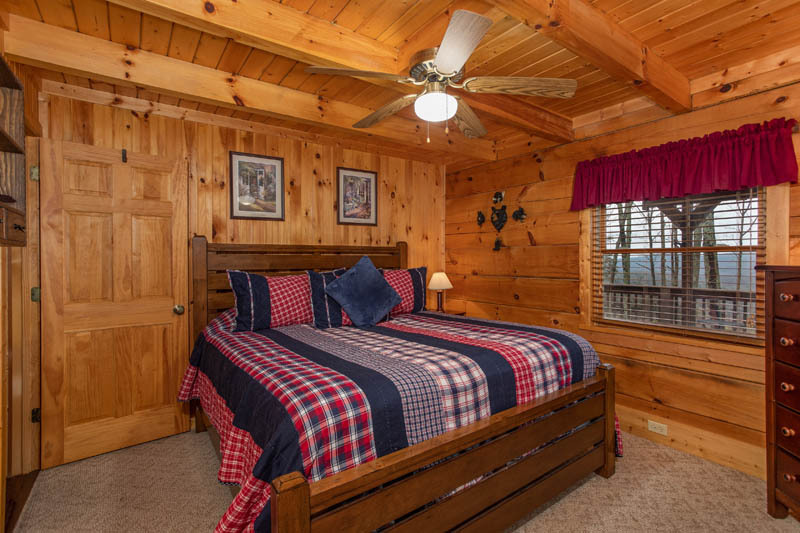 Just imaging waking up every morning in this spacious 2 bedroom, 2 bath authentic log cabin. 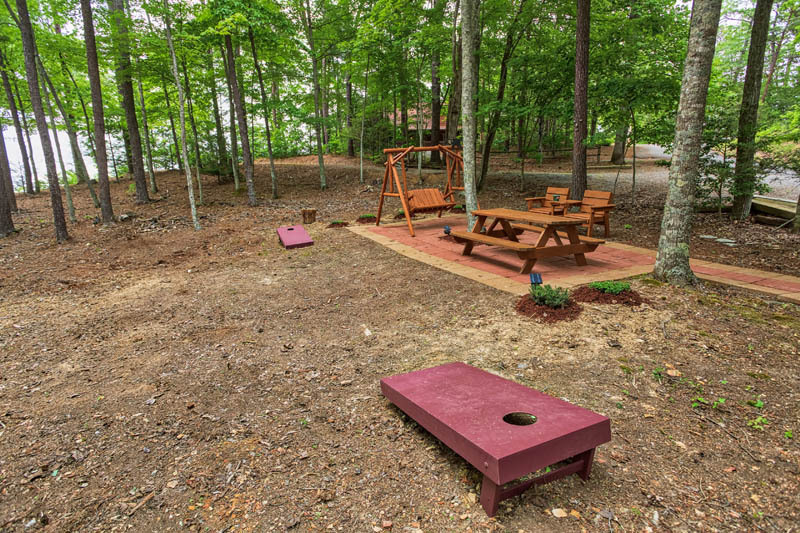 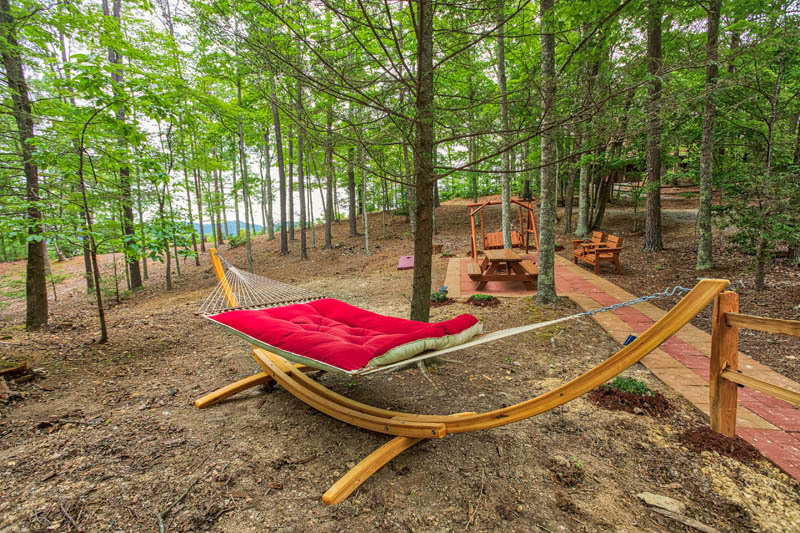 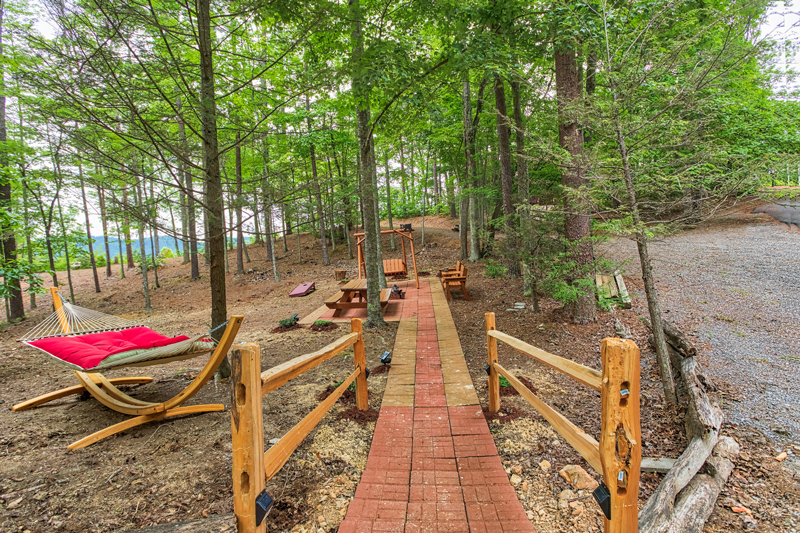 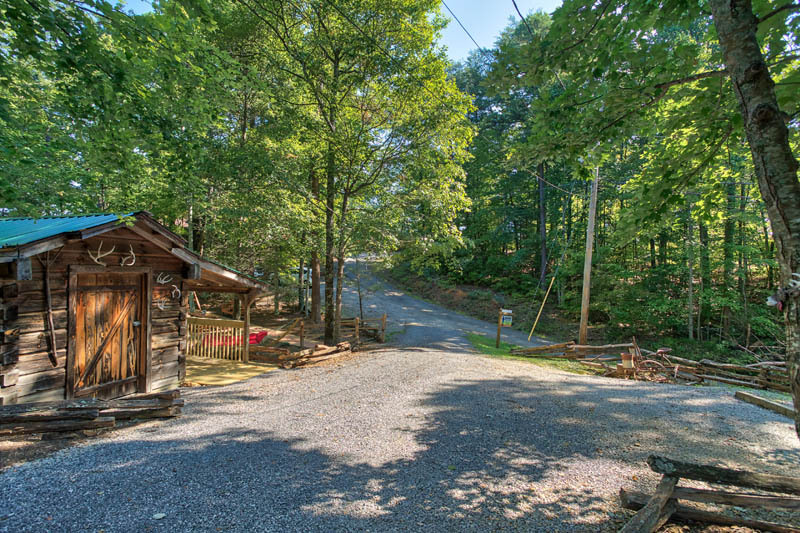 Privately located on two oversized lots consisting of 1.4 acres. 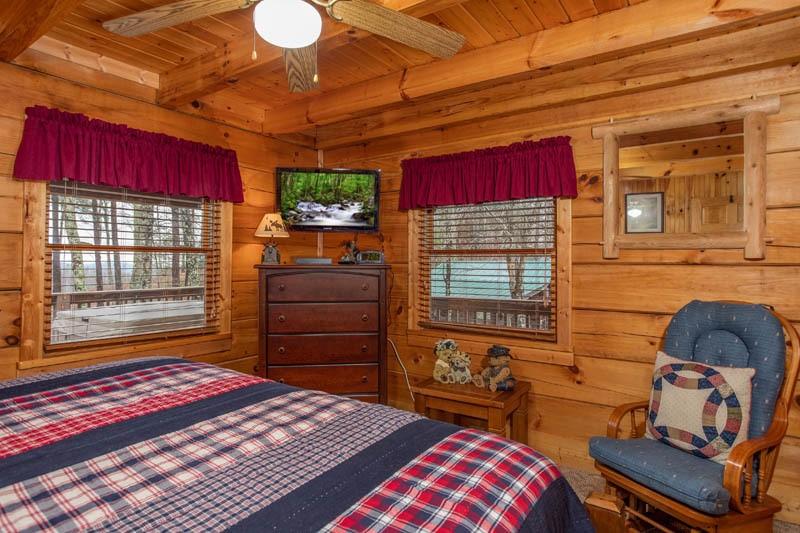 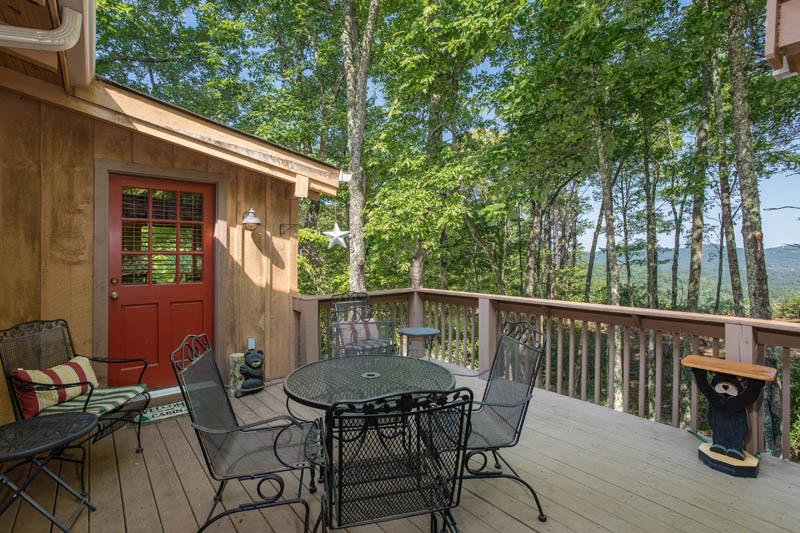 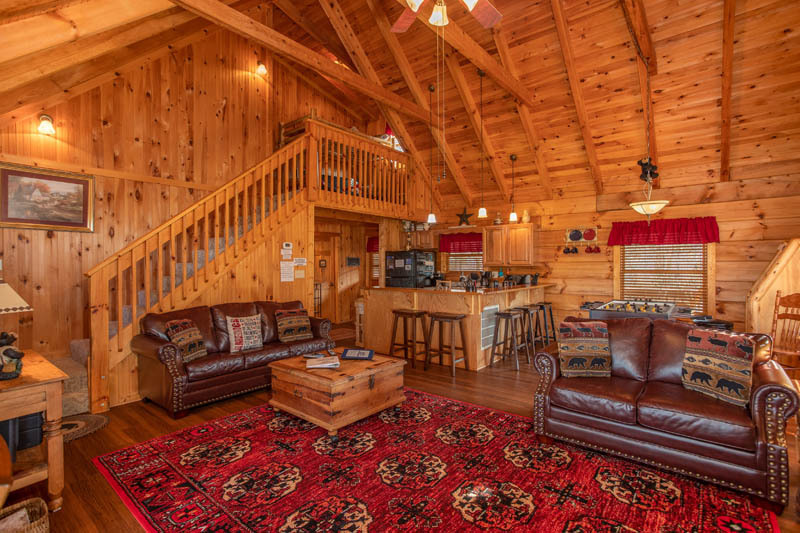 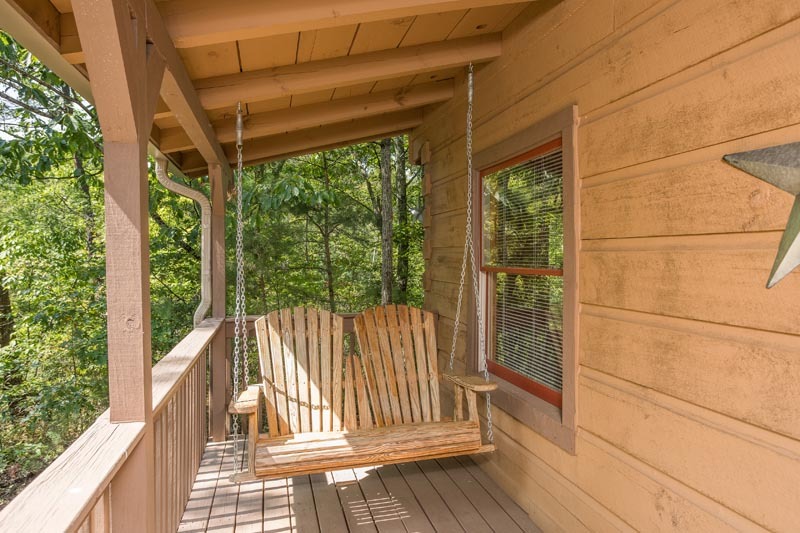 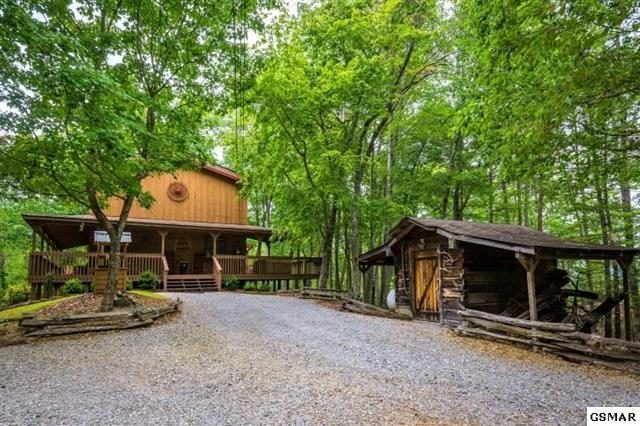 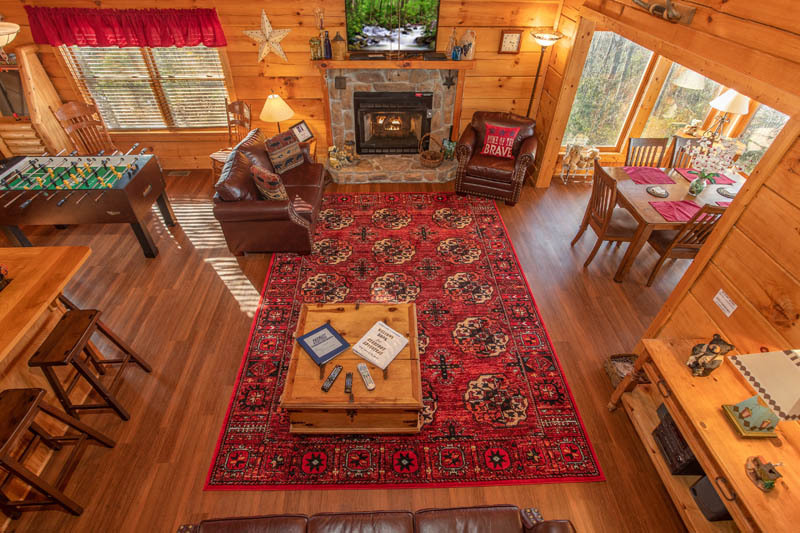 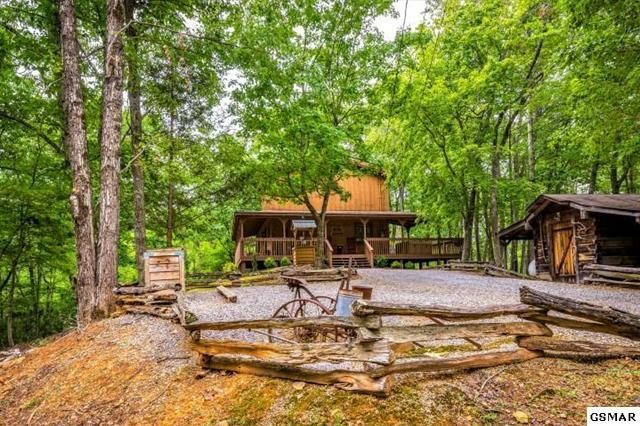 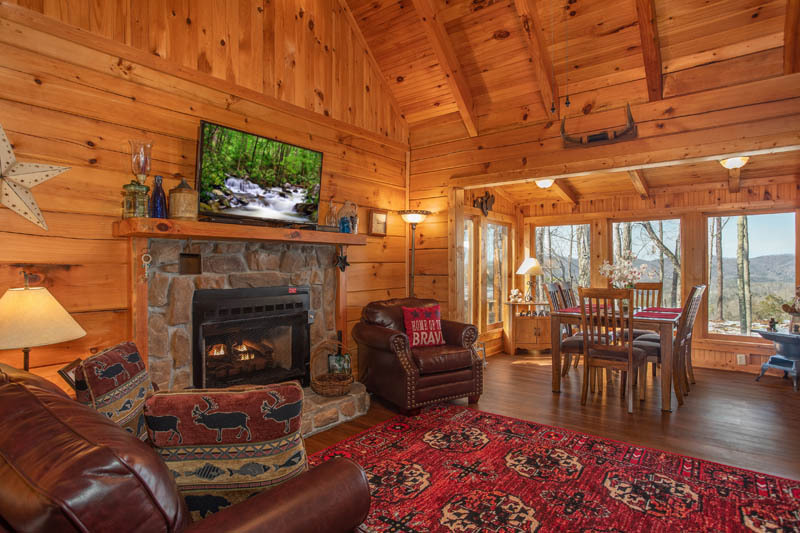 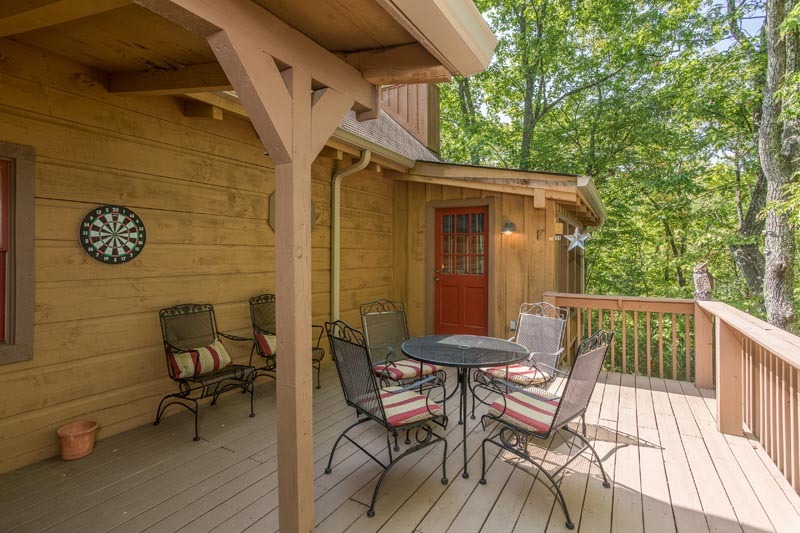 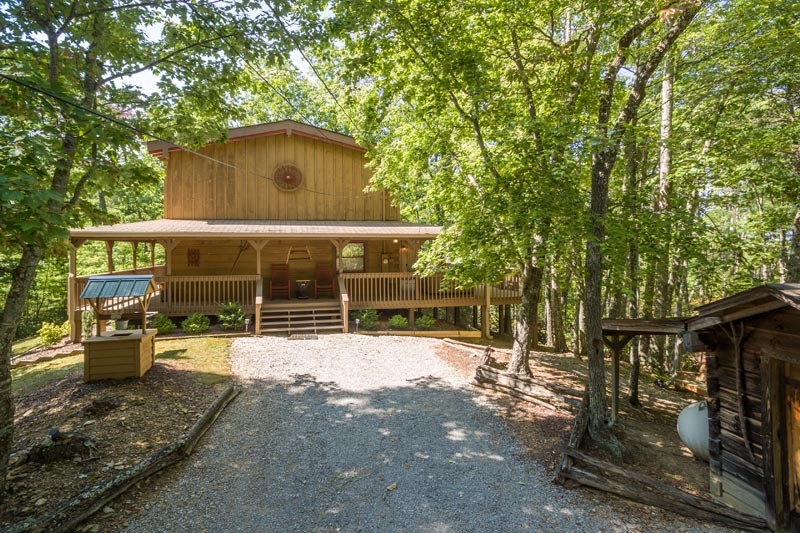 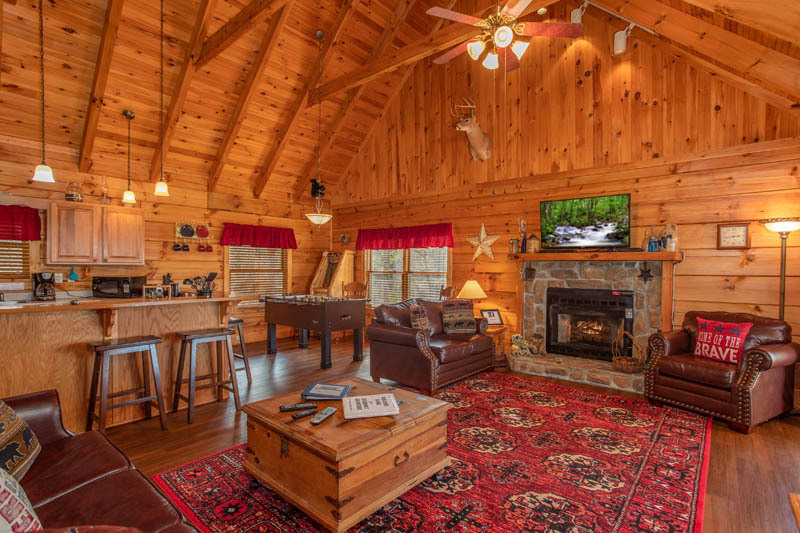 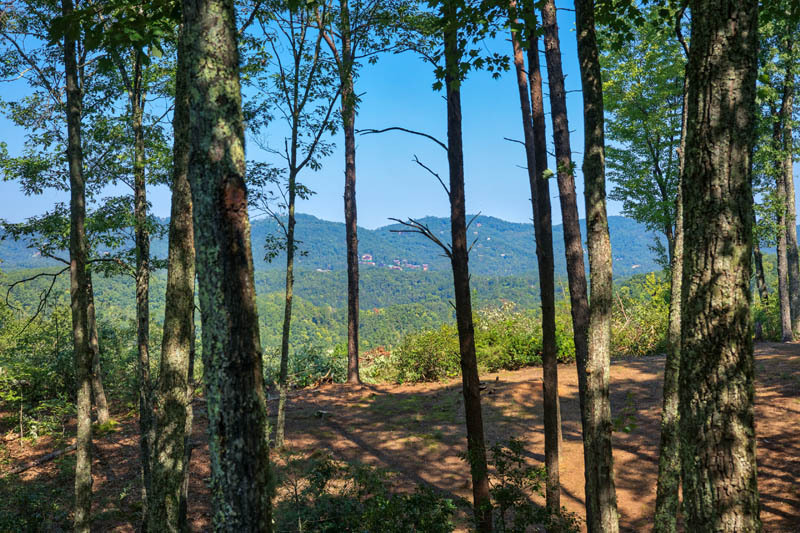 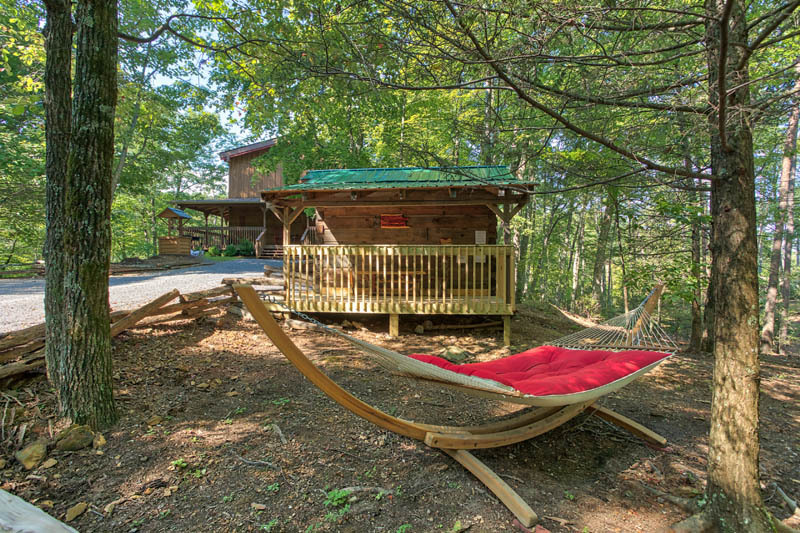 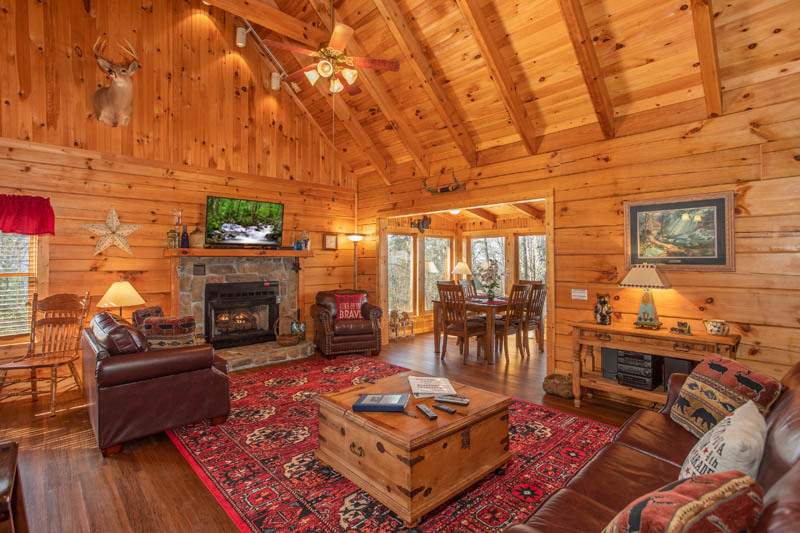 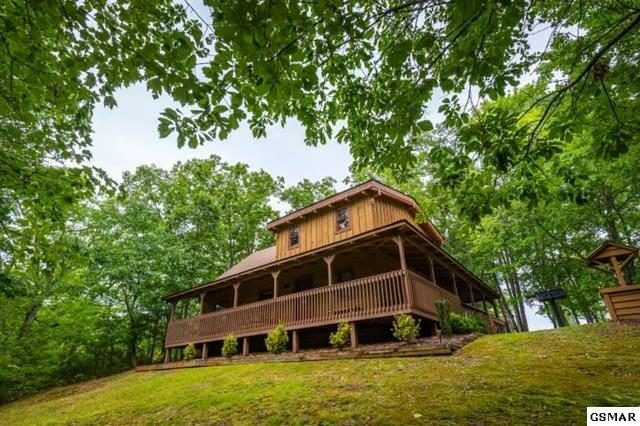 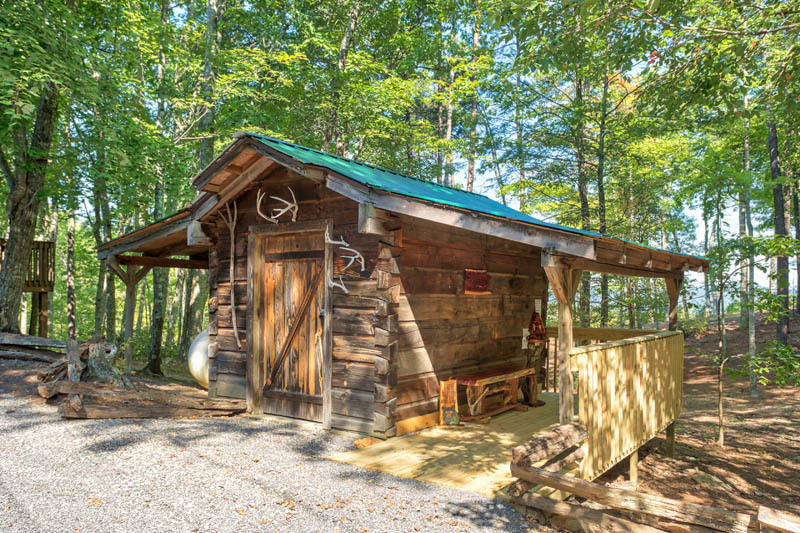 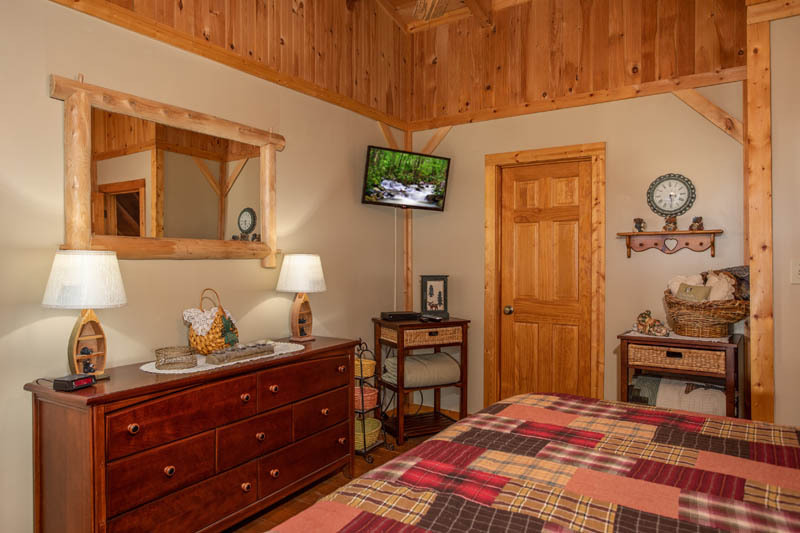 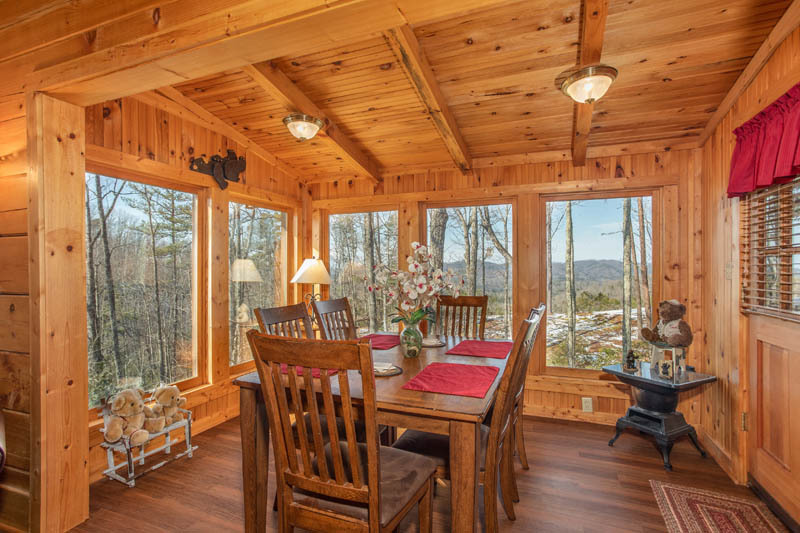 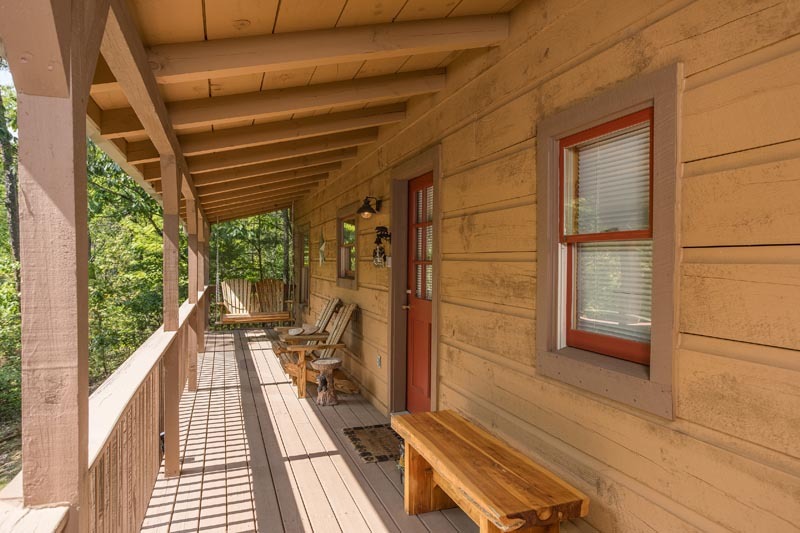 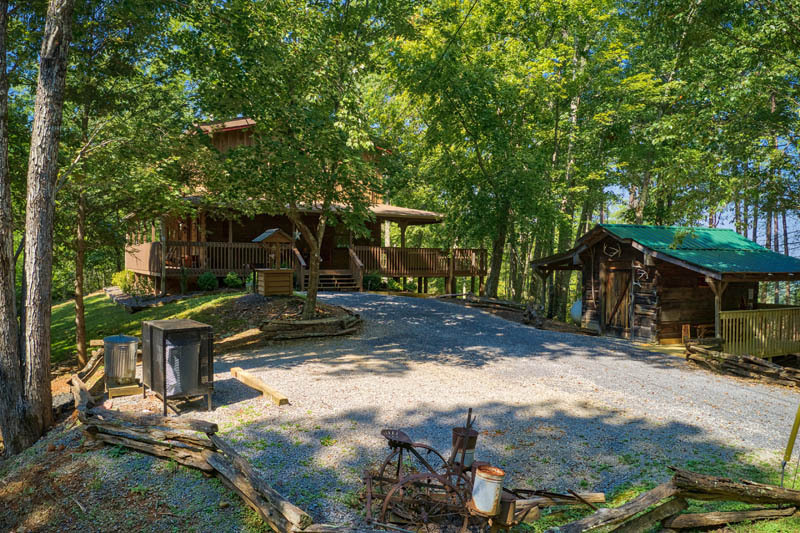 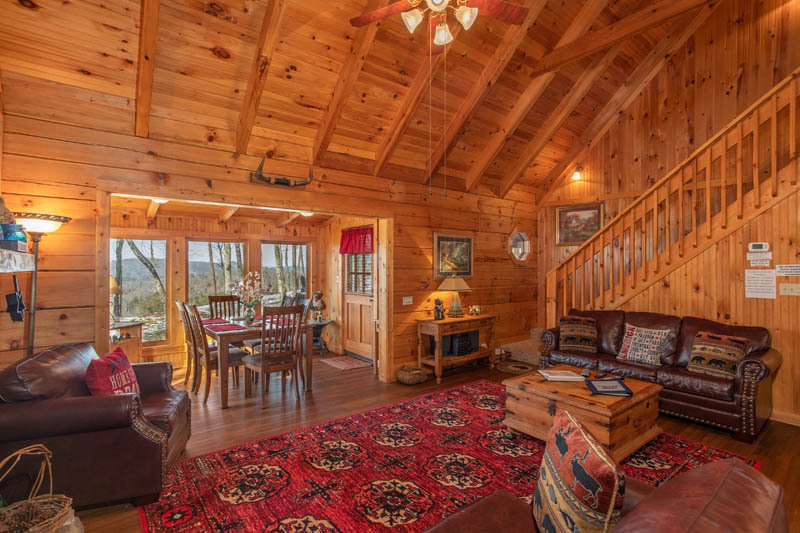 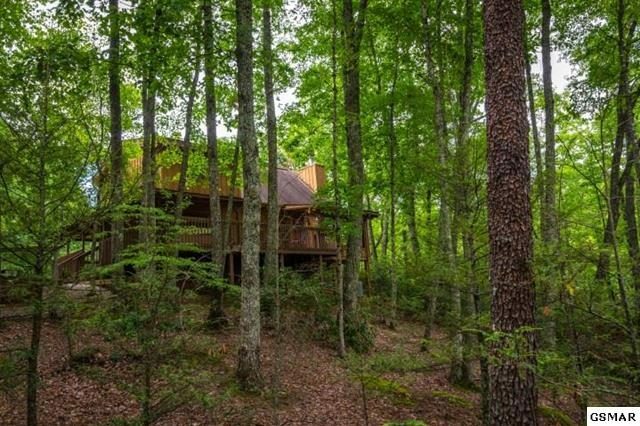 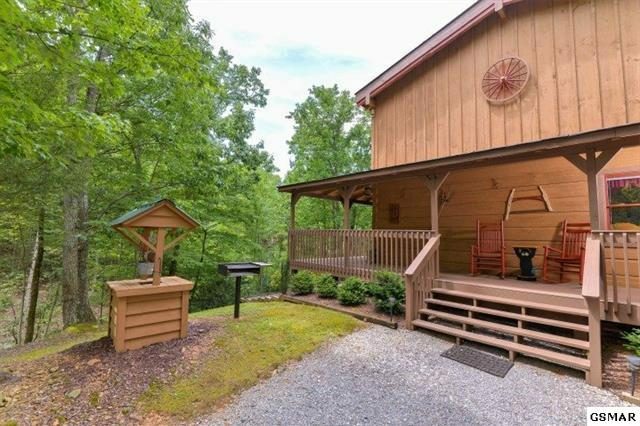 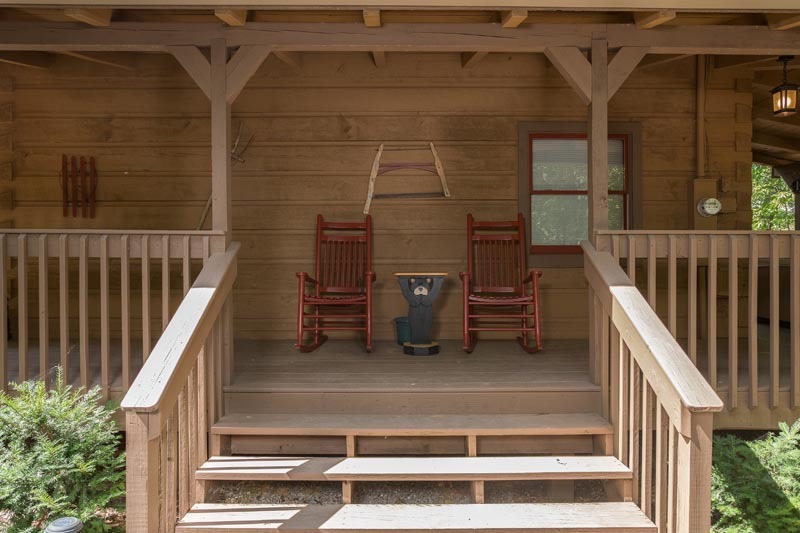 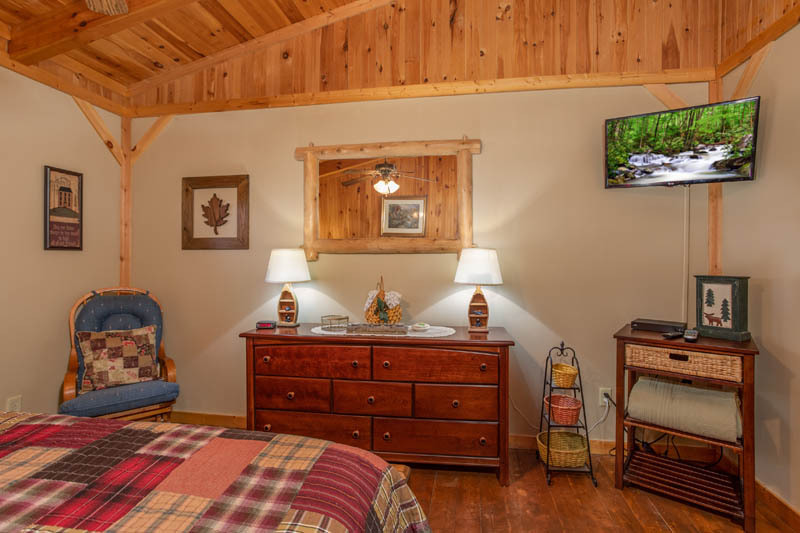 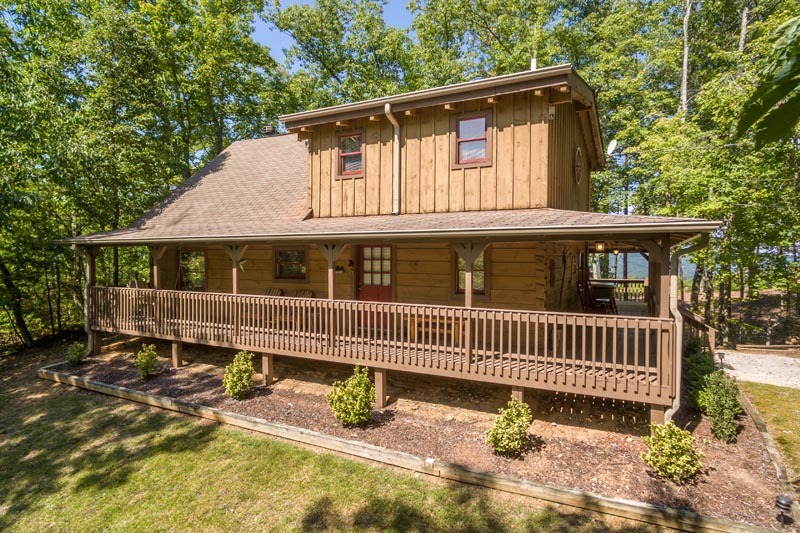 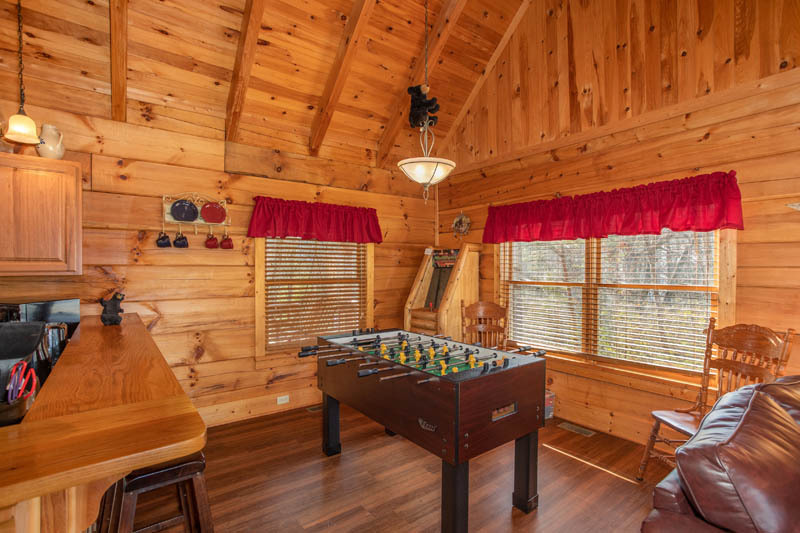 This authentic log cabin is located between Pigeon Forge and Gatlinburg in the Sky Harbor resort community – BEARFOOT ADVENTURE is secluded, but still convenient to all the shows, dining, shopping, and attractions of town. 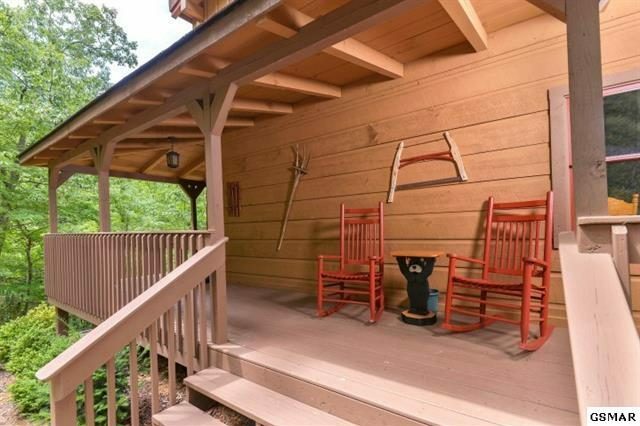 Enter from level parking bordered by split rail fence and antique farm implements, across the wrap around porch, and into a huge living area. 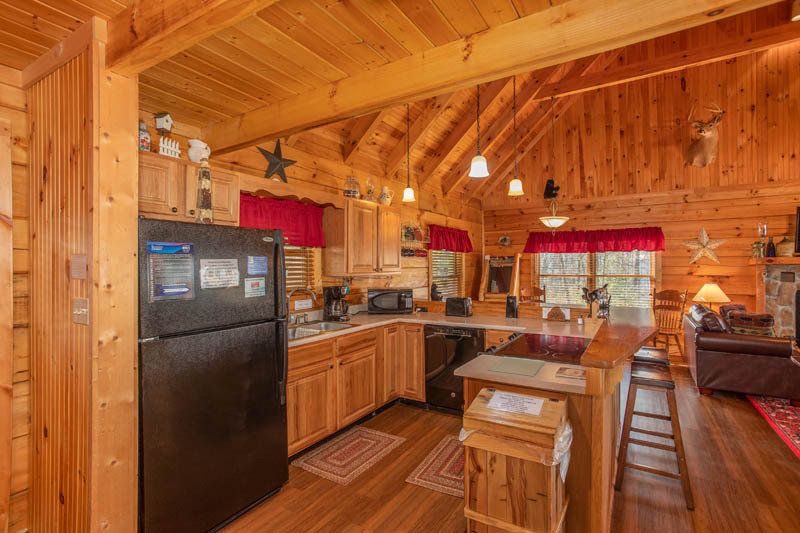 The open concept floor plan includes tall vaulted ceilings, a dining area, game area, kitchen with breakfast bar, and a large living room. 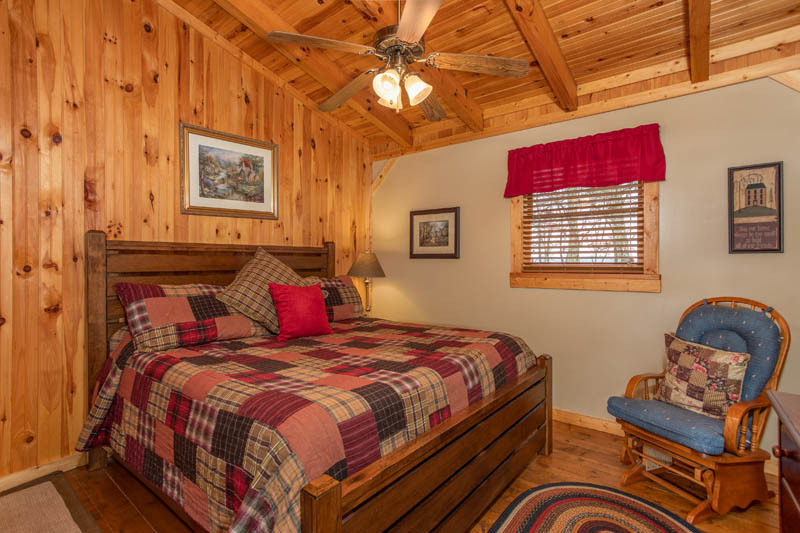 Two king bedrooms and two bathrooms offer guests their own space. 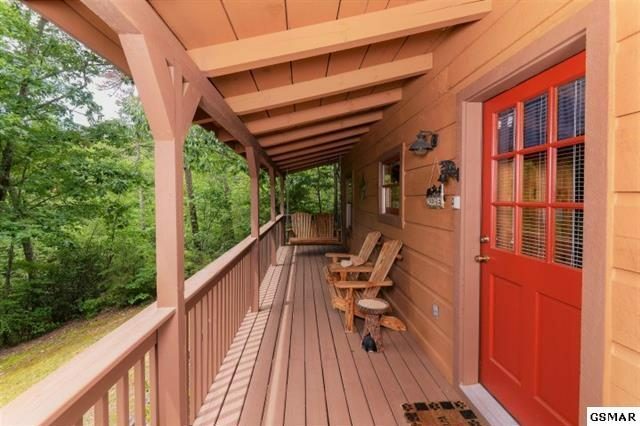 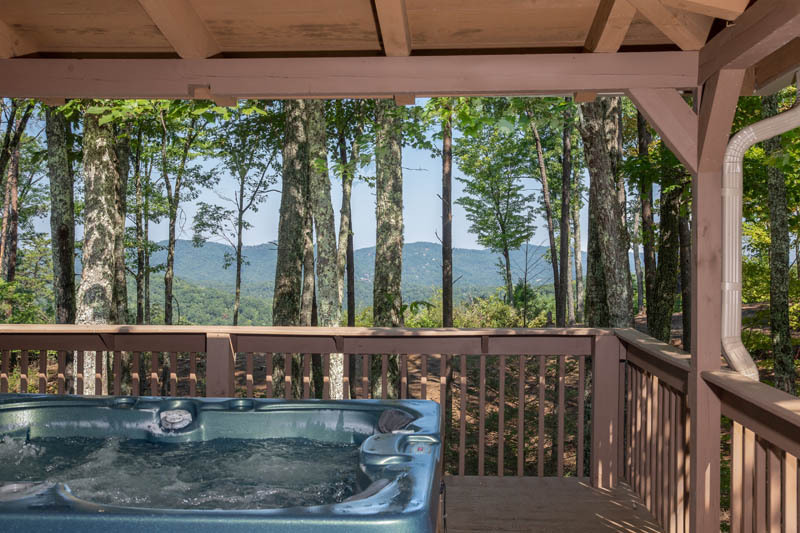 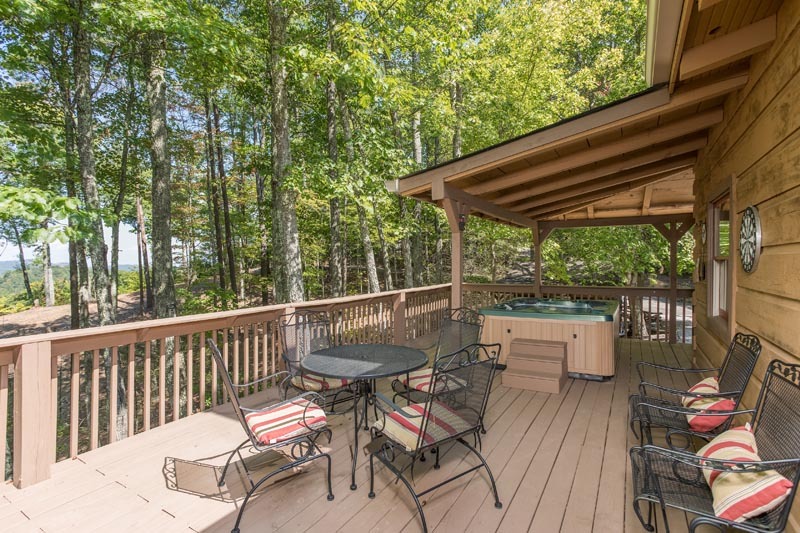 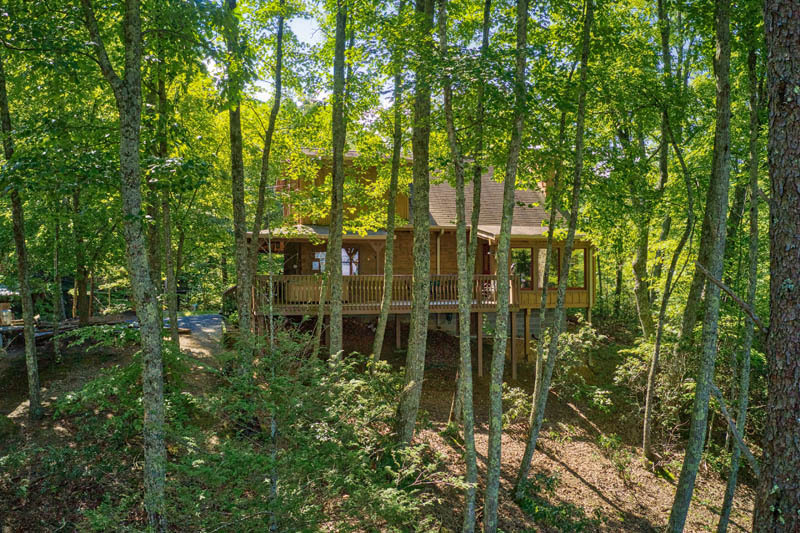 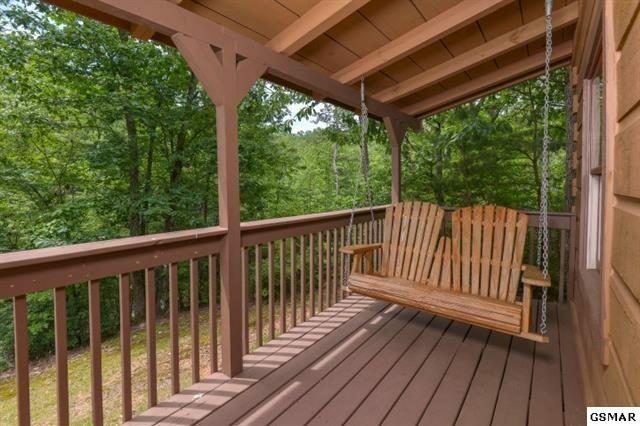 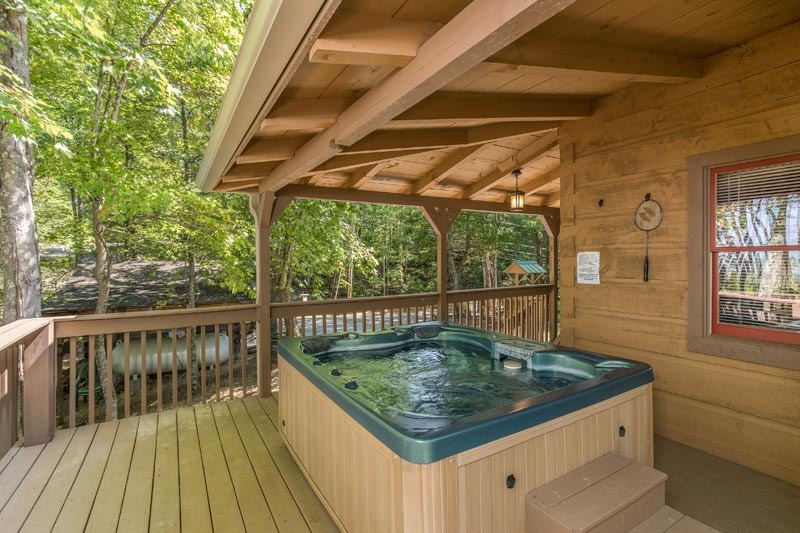 The covered back porch includes a steamy hot tub, and a large wrap deck is perfect for relaxing to the sounds of nature. 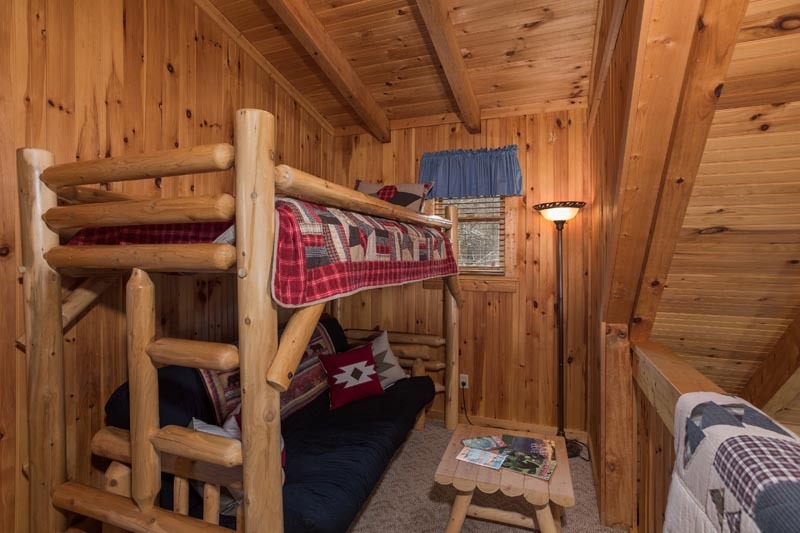 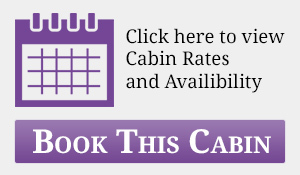 Call today and get your mountain adventure started in BEARFOOT ADVENTURE!